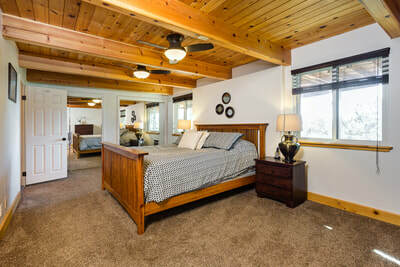 3 Large Bedroom + Loft with it's Own Bathroom. 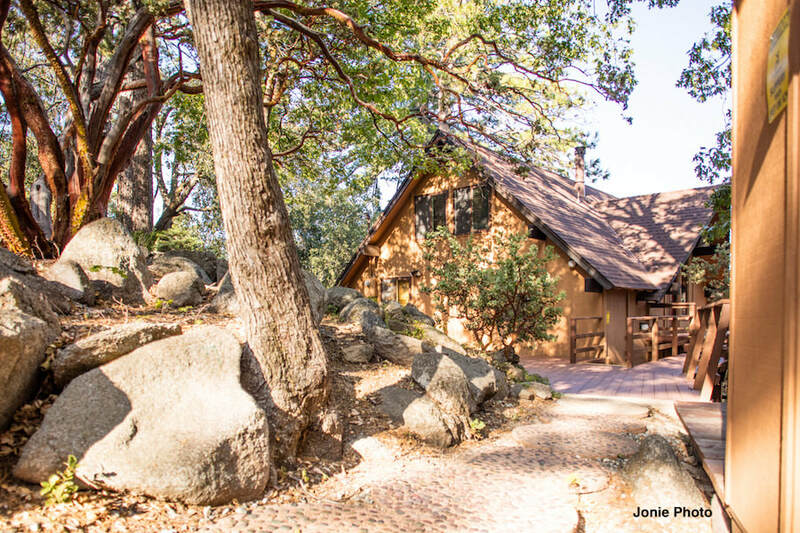 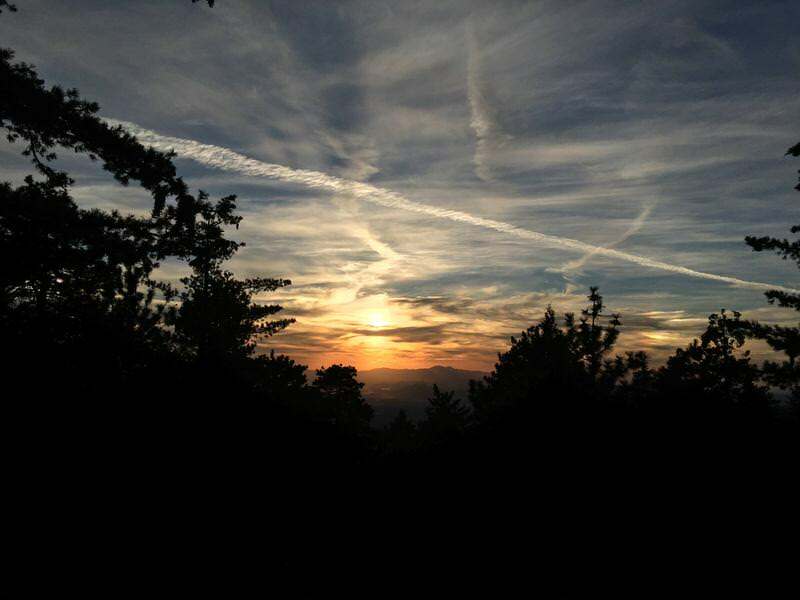 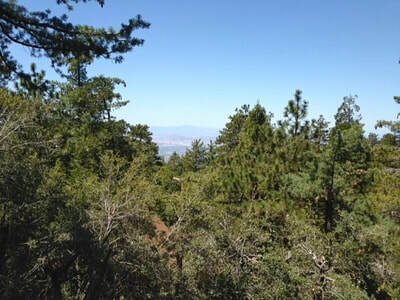 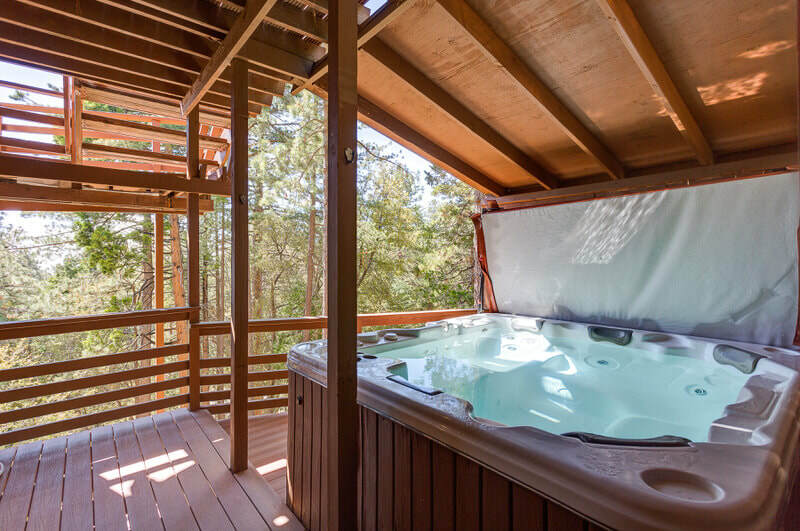 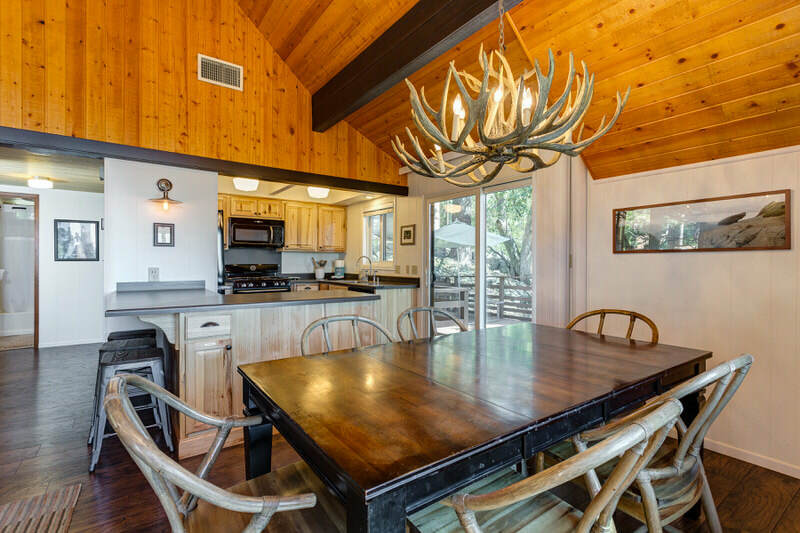 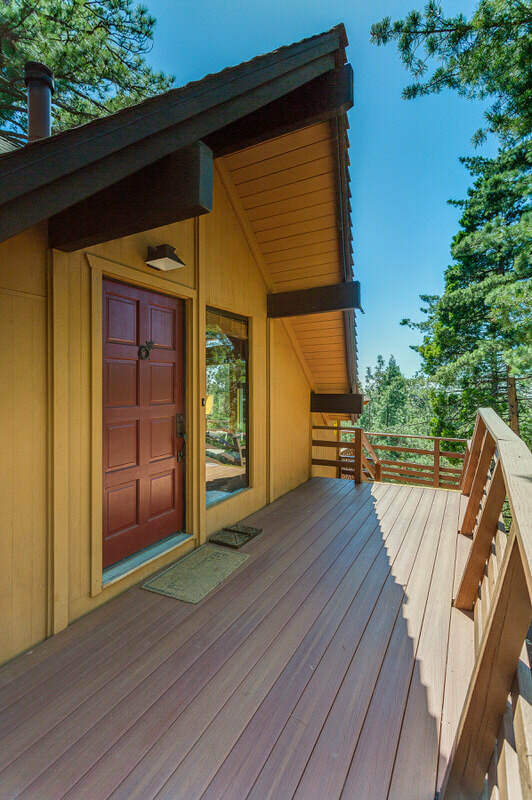 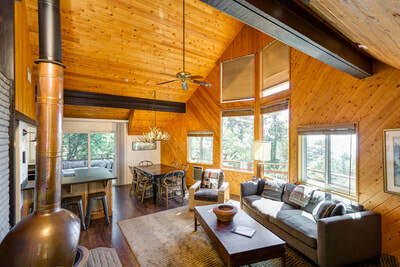 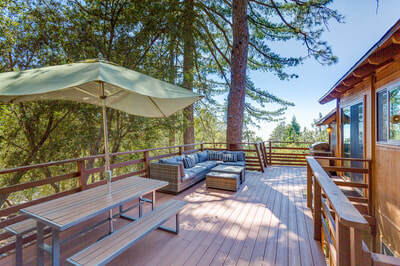 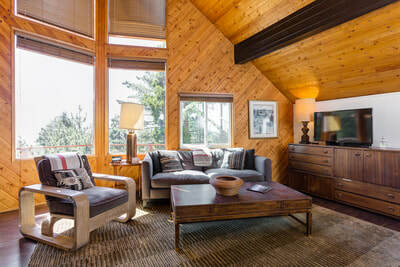 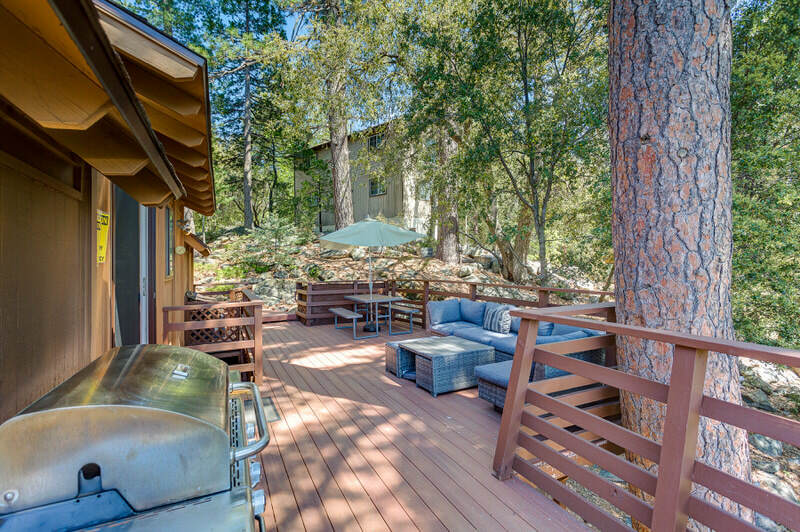 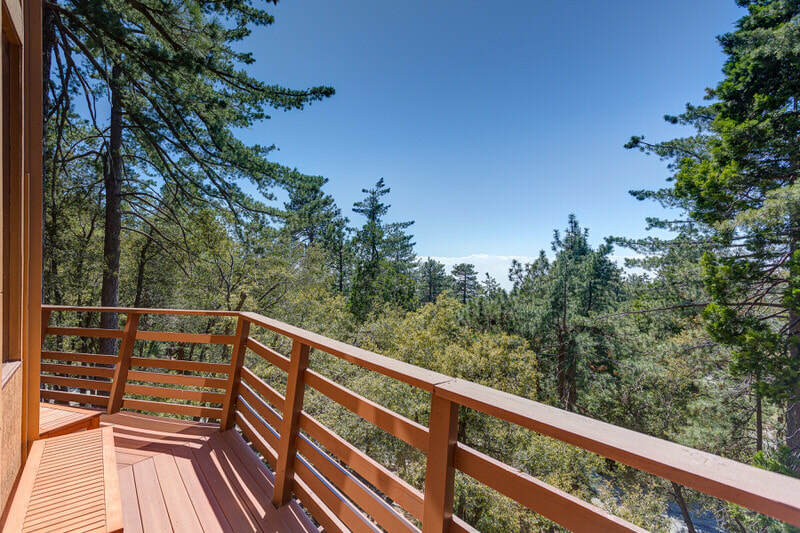 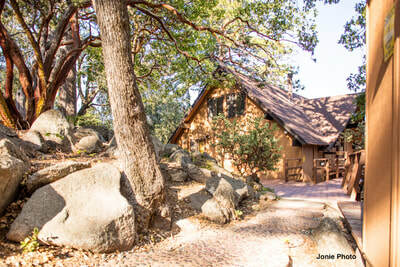 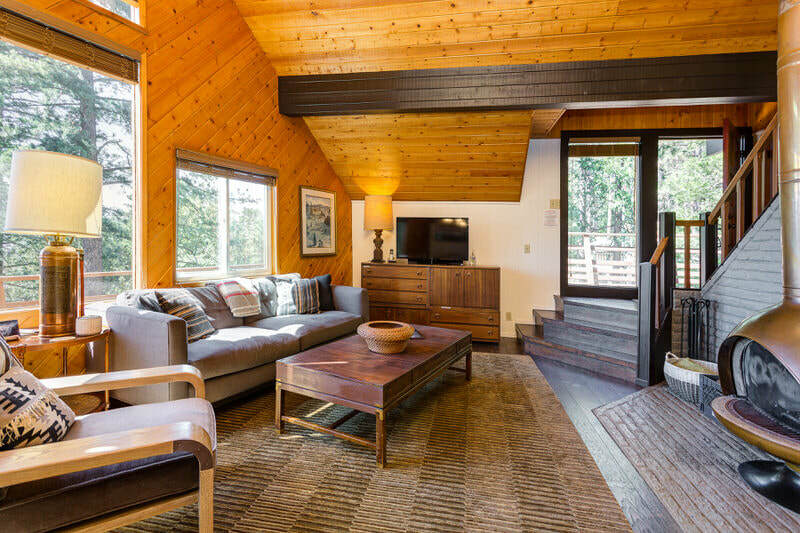 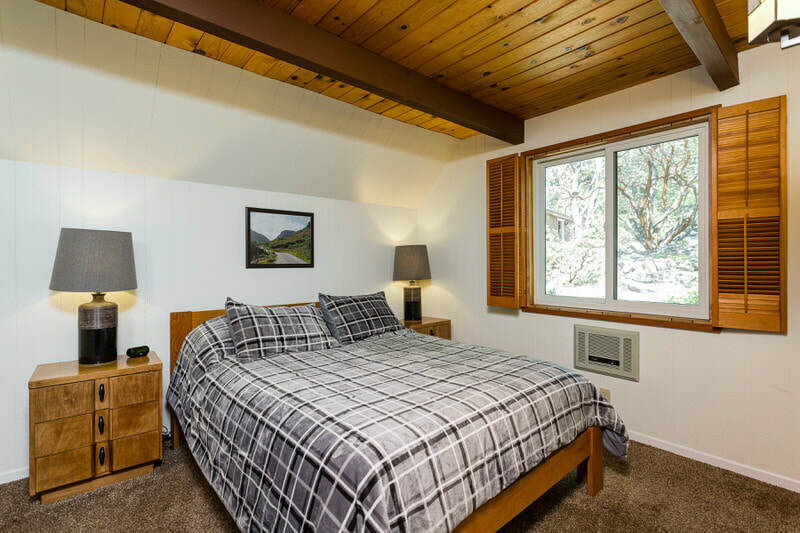 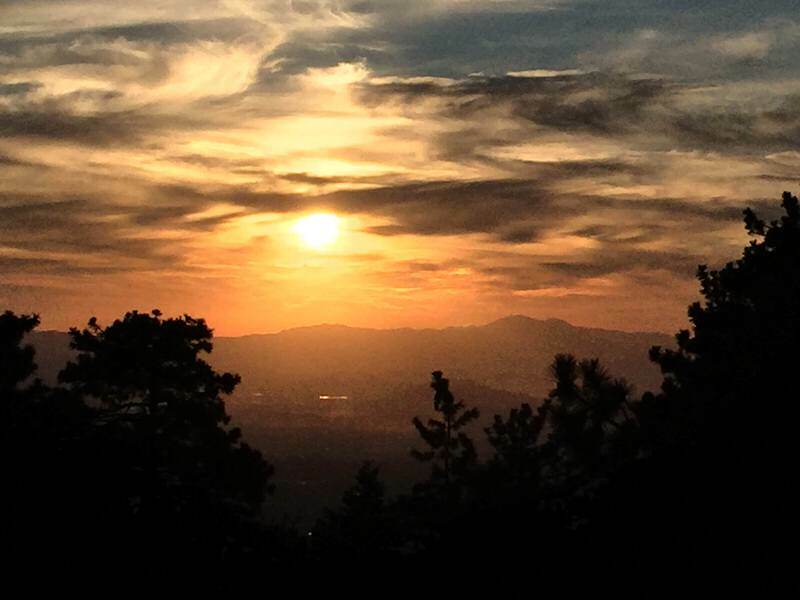 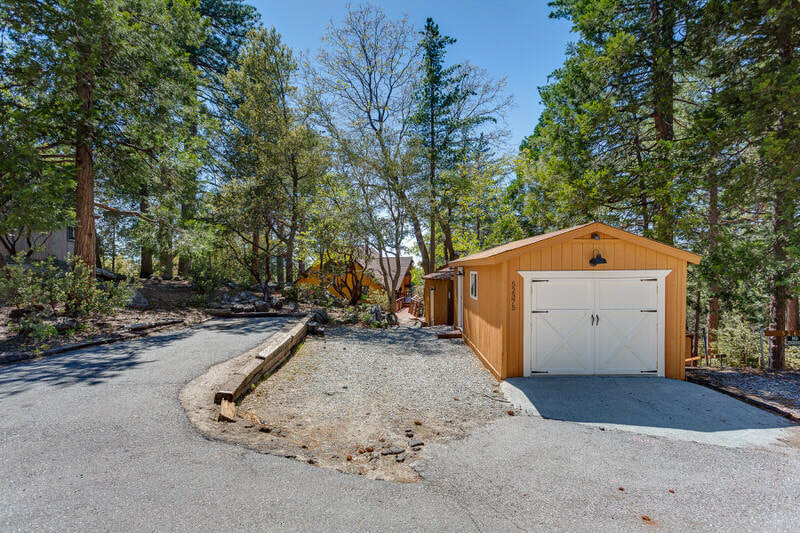 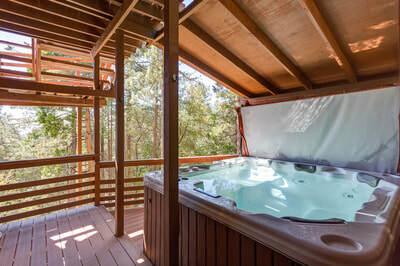 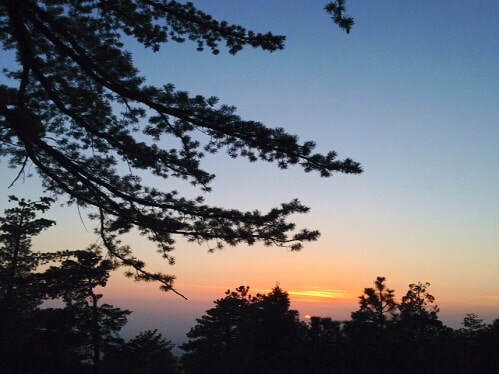 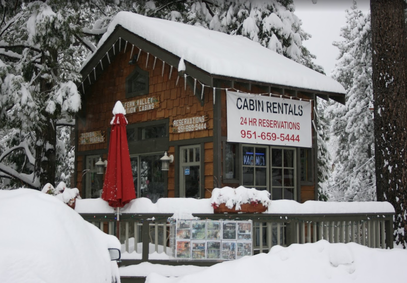 The Overlook Lodge - A vacation rental cabin in the mountains of Idyllwild, Calif. You Deserve A Break. 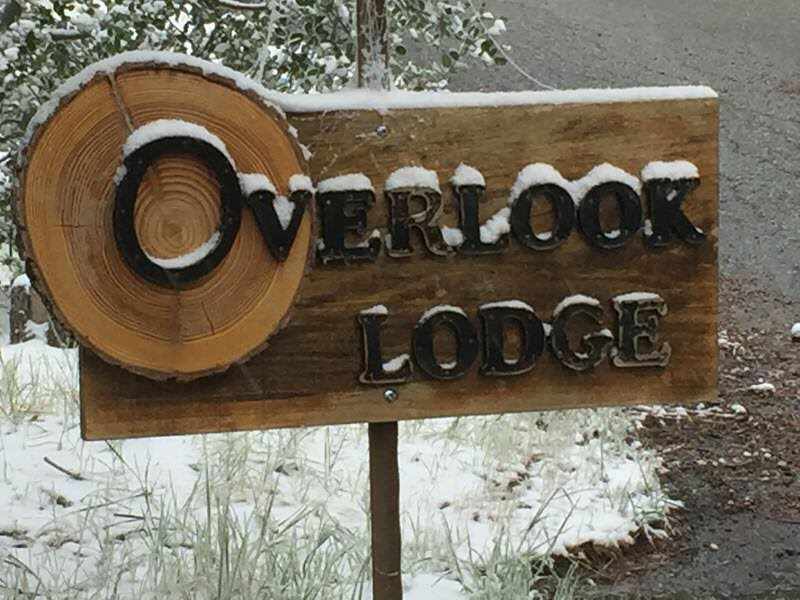 Overlook should be the first cabin in the list. 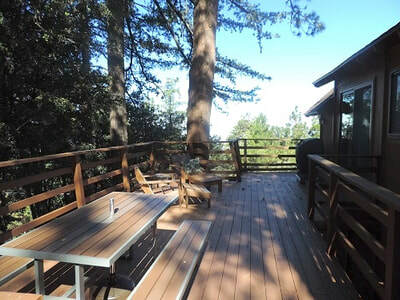 The Overlook Cabin is a comfortable, recently upgraded vacation cabin that offers beautiful treetop and sunset views. 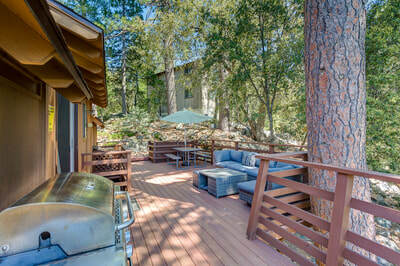 Hang out on the catwalk deck or enjoy barbequing on side deck well shaded by beautiful pine trees. 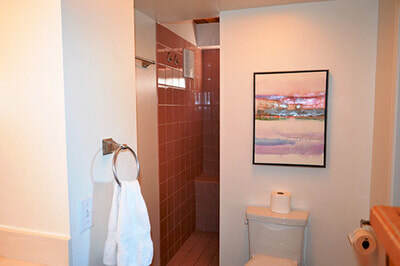 Overlook is only ten minutes to town center. 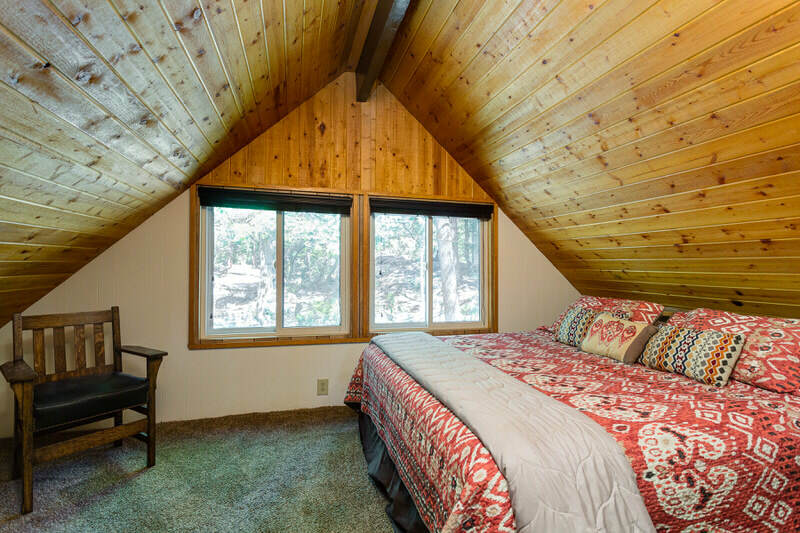 The Overlook is a 3 bedroom, 1 Loft, 3 bathroom cabin with large picture windows. 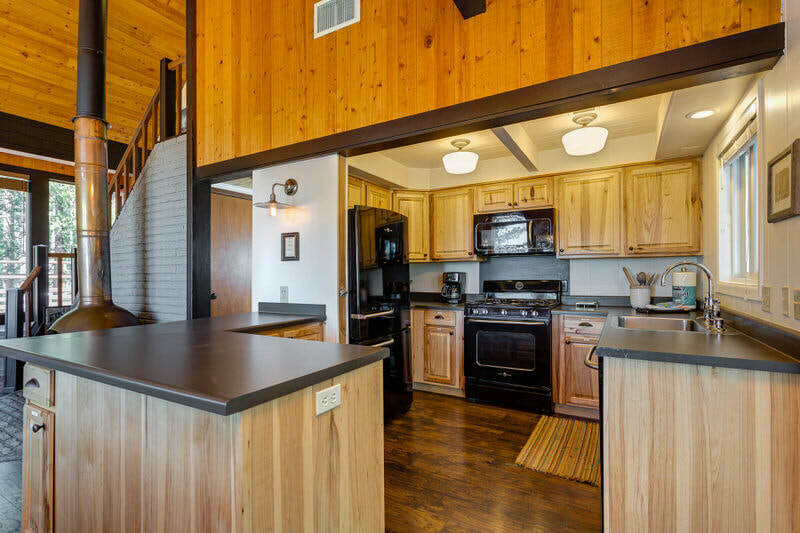 The Kitchen is modern and fully stocked. It's also offers a very nice dining area for the entire family. The fireplace in Great Room is unique and easy to enjoy. The Great Room has classy, comfortable furniture - great for viewing wonderful sunset views. 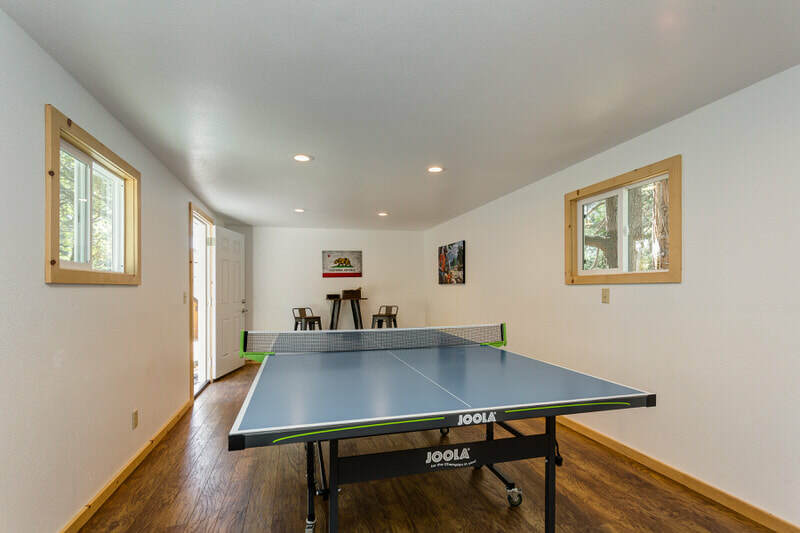 Enjoy the hot tub and star filled nights, or head to the converted garage for a game of ping pong. The cabin has cable and internet for your convenience. 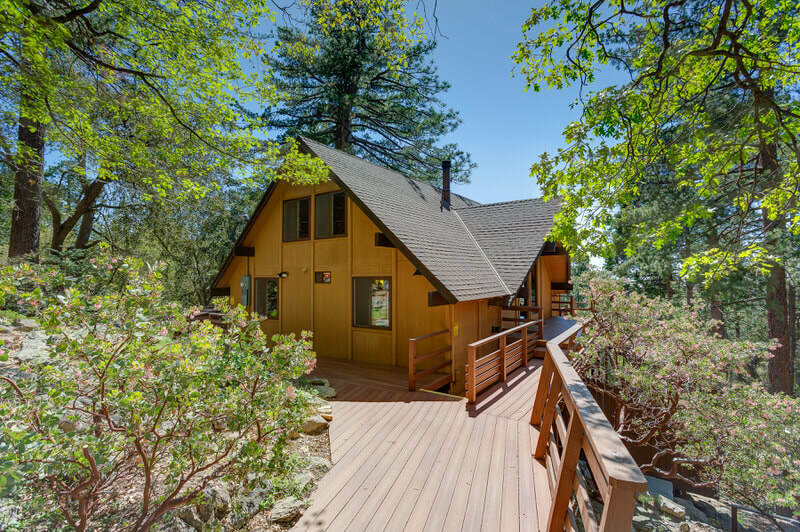 Idyllwild at its best! 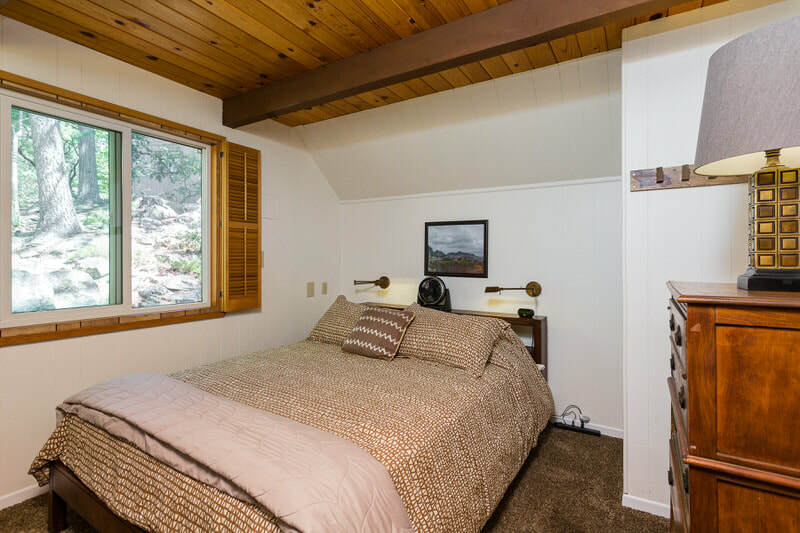 Clean comfortable elegance in a beautiful mountain setting.